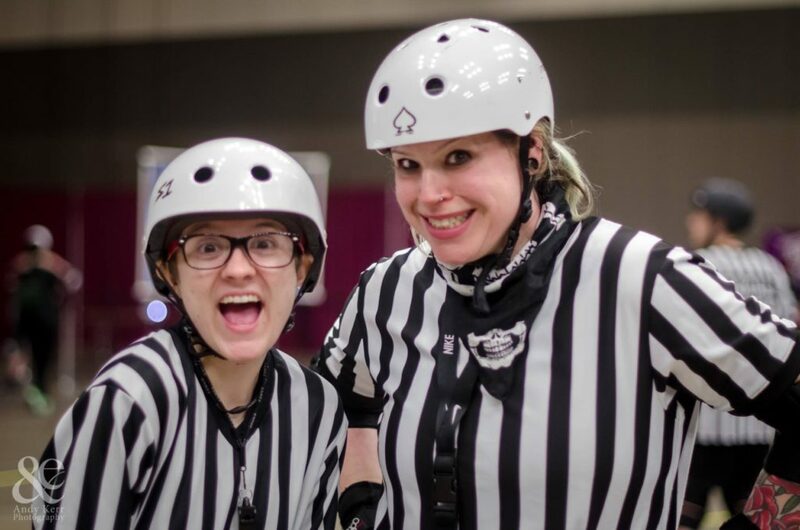 It was Scout recognition night and Fort Wayne Derby Girls took on Circle City Derby Girls from Indianapolis, IN on our home track in a very close intense game. The teams were greatly matched opponents with being within 24 ranking spots of each other. 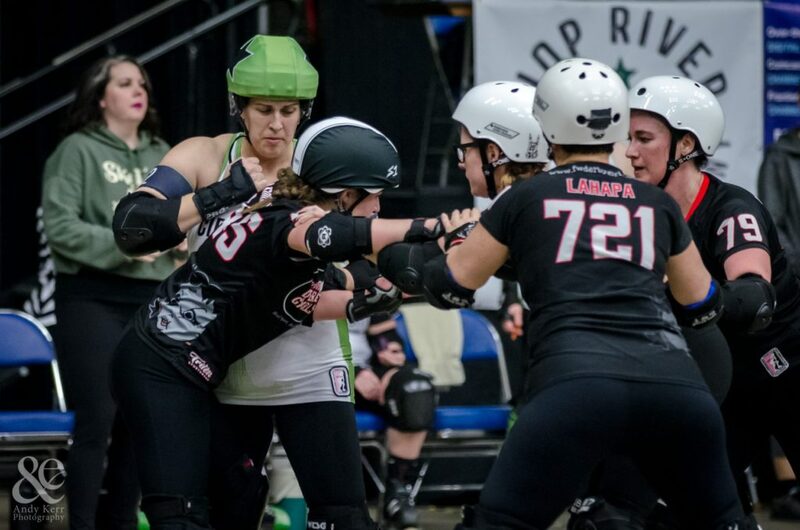 In the first half, both defenses were diligently working to keep the opposing jammers at bay. Most every jam of the half was called off after just a single scoring lap to keep the other team from being able to score as well. This makes for such an entertaining game for the crowd to enjoy. At jam #17 of the game FWDG was down 32 to CCDG 58. FW rallied back with good momentum by adding an additional 18 points while holding Circle City to only score 6 more points leading into half time. In the 5th jam of the second half Adkins pulled out an amazing scoring jam of 24 points while her defense only allowed 1 point to be scored. The crowd went wild and the skaters on the floor could feel the rumble in the air! 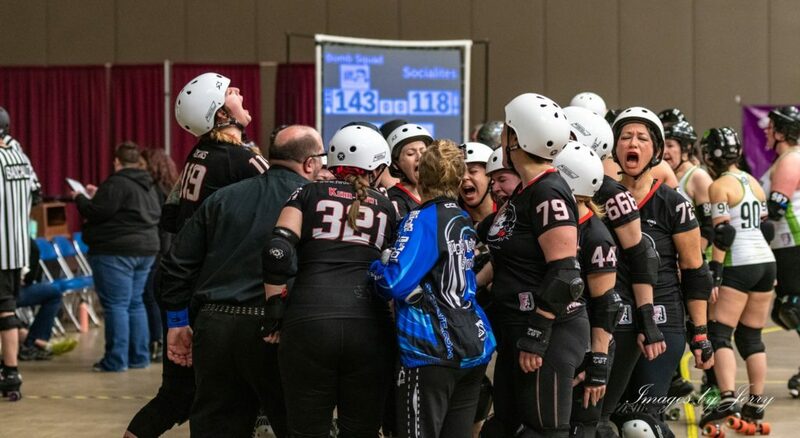 FWDG fed off of that momentum and excitement to end the game with a win to add to the 2019 season. Final score of 143 to CCDG 118. Watch out for this great match up again in the future for sure! 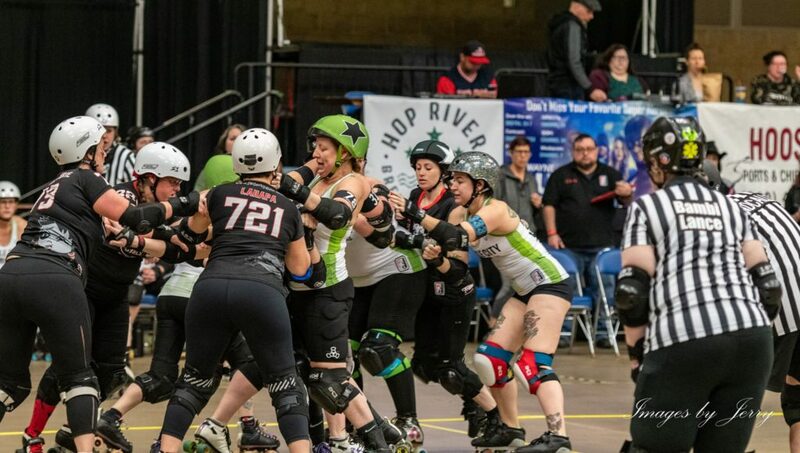 Our next home game for more derby action is this Saturday, March 23 at the Allen County War Memorial Coliseum. FW Derby Brats play at 4pm. 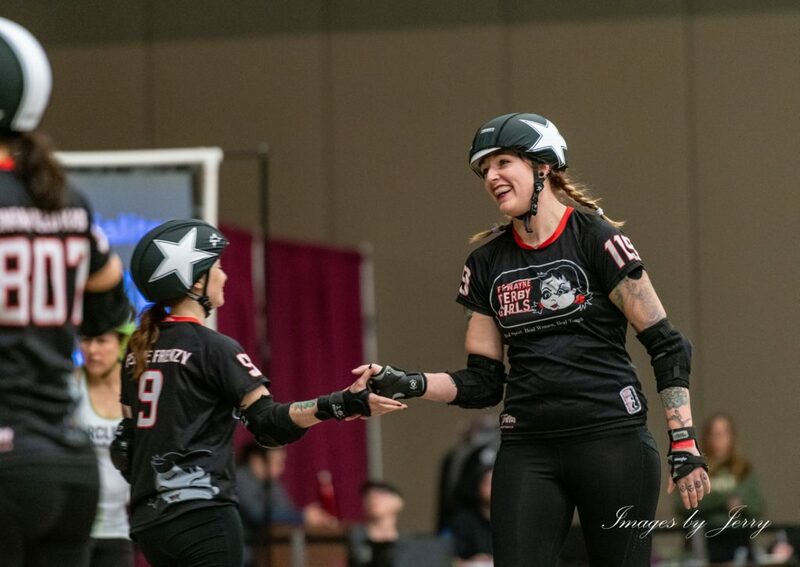 Fort Wayne Derby Girls take on Flint Roller Derby from Michigan at 6pm with the Tootsie Rollers playing at halftime. Our game day charity we will be raising funds for is the Fort Wayne Sexual Assault and Treatment Center. Plan to bring your friends, family, and even grab your neighbors! Bring some extra cash for exciting raffles and shout outs. The Kid Zone is always a big hit too! 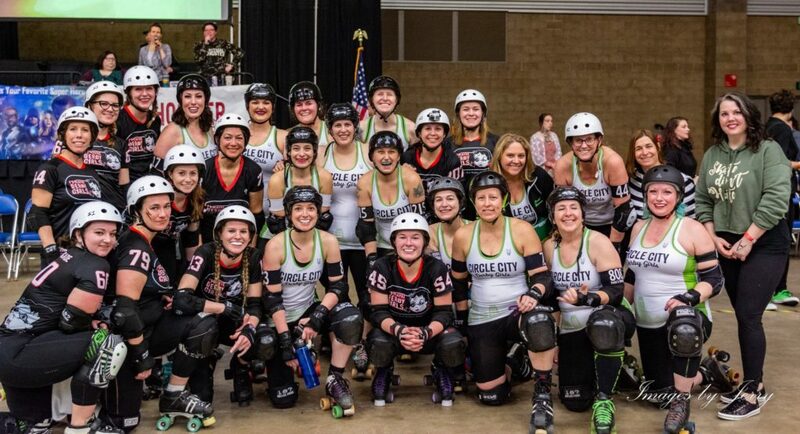 It’s Alumni Night so you will see FWDG skaters from 2005-current. Some still on the track even. It’s going to be a great time and you don’t want to miss it!